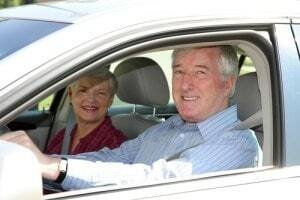 As a car accident attorney who represents seniors throughout California including Los Angeles, I know that senior citizens involved in motor vehicle collisions are much likelier to suffer from serious injuries than are people who are younger. They may also be more likely to suffer from chronic and debilitating pain after their accidents. While defendants may argue that some conditions are pre-existing and were not caused by the accidents, if the accidents caused the symptoms of the conditions to worsen, the plaintiffs may still recover damages. It is also not a defense to the recovery of damages that the victim was injured solely because of his or her fragile state even if the accident would likely not have resulted in an injury if the victim was younger. An experienced California personal injury lawyer may help to build the necessary evidence to show that the accident caused the plaintiff’s injuries or the worsening of the client’s symptoms of a pre-existing condition. According to a study that was published in the “Annals of Emergency Medicine,” the second most common cause of injuries to seniors is car accidents. In a longitudinal study from 2011 to 2014, the researchers reviewed cases involving seniors who were ages 65 or older who presented at one of eight emergency rooms following motor vehicle accidents. The researchers conducted follow-up interviews with the 161 patients following their discharges from the emergency departments. They used pain scales ranging from zero to 10 and assessments of 15 different body parts. Seventy-two percent of the participants reported pain that was moderate to severe at the time of their evaluations. After six months, 26 percent still reported moderate to severe pain. Seventy-three percent of those who suffered from chronic moderate-to-severe pain also demonstrated declines in their abilities to physically function. These declines were much higher than the functional declines that were demonstrated by people who did not suffer from moderate-to-severe pain. Thirty-six percent of those who did not report ongoing chronic pain suffered from functional declines by comparison. What is an Eggshell Plaintiff in California? California law incorporates a legal theory that is called the eggshell plaintiff from the common law. Under this theory, defendants must take plaintiffs as they find them. This means that the fact that an accident would not have caused the types of injuries that were caused in more fragile people is not a defense to a personal injury civil lawsuit. This means that a negligent driver who causes an accident that injures an elderly person may not escape liability simply because a less fragile, younger person would not have been injured in a similar accident. It is a common tactic for auto insurance companies to scour through the medical records of injured victims following car accidents. They do this to try to identify any pre-existing conditions so that they may dispute their insureds’ liability for causing them. Insurance companies may argue that the injuries were not caused by the accidents but instead already existed. While this may be a defense, it is not a complete one if the accident caused the underlying conditions to worsen. In California, if a negligent driver causes an accident that then causes a victim’s pre-existing condition to worsen, the driver may be liable to pay damages to the full extent of how much the condition has worsened. Elderly people often have pre-existing conditions that are made worse when they are the victims of car accidents. The fact that they already had medical issues will not preclude their recovery of damages if the accidents made their conditions worse. For example, if elderly people have pre-existing back problems such as bulging discs and are then struck by another vehicle, the elderly people’s pre-existing back problems may be exacerbated. They may be left unable to walk or suffering from worsened pain after the accident. Just because they already had bulging discs in their backs does not mean that their recoveries will be barred. Even if a retired person is in good health at the time of a personal injury, the damages are not always reflected in simply looking at the cost of medical treatment. Under California law, persons injured by negligence are entitled to not only to “economic damages” (such as out of pocket medical costs) but, also to “non-economic” damages. These include not only compensation for physical pain but, also for emotional distress caused by the traumatic event itself as well as what the negligent act does to disrupt one’s life and lifestyle, which can lead to sleep loss, depression and other psychological consequences. For example, a healthy 70 year old woman who has finally retired and enjoys gardening, going on trips with friends, volunteering her time at a charity or church and enjoying the “golden years” is struck by a car while crossing the street. She suffers a broken hip which requires surgery, months of healing time, and permanently restricts her physical activities above. This is not a case where “three times the medial bills” will truly compensate the victim for “pain and suffering damages.” A significant value should be placed on these damages! Experienced personal injury attorneys are aware of the fact that defendants may not avoid liability because of the fragility of senior citizens or in the event that the accidents worsened pre-existing injuries or medical conditions. When lawyers have such cases, they may employ the help of medical experts. The experts may help by reviewing the clients’ medical records and opining about the impacts the accidents had on their conditions and functional abilities. The lawyers may also get the help of financial experts who might be able to give their opinions on the likely costs the victims may face because of the worsened nature of their conditions. If you are an elderly person who has been seriously injured in an accident that was caused by a negligent driver, you may want to seek a contact us with an experienced Los Angeles personal injury attorney. A lawyer may be able to analyze what happened and give you an honest assessment of how strong your case might be. He or she may then advocate for you to try to get the amount of compensation that you deserve for your losses.